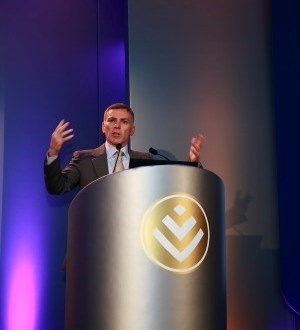 Discovery CEO, Adrian Gore. (Picture supplied). Discovery [JSE:DSY], the South African insurer starting its own bank, will continue to invest in businesses in its main market even as the economy grapples with a recession. "I am a great believer that opportunities are not in good times," chief executive officer Adrian Gore said in an interview in Johannesburg on Wednesday. "They are in difficult times. We remain convinced these are times to invest and build so that when things come up out of the trough you are in a very strong position." The CEO’s comments come after data released on Tuesday showed that the economy unexpectedly shrank for the second consecutive quarter in the three months through June. President Cyril Ramaphosa is trying to restore investor confidence battered by almost nine years of misrule by his predecessor, Jacob Zuma, and amid an escalating global trade war that’s soured sentiment toward emerging markets. The company may invest R10bn in the country, Gore said, without giving a time frame. Discovery invested 7% of its earnings in the year through June in new initiatives at its various units, including the bank it plans to begin by the end of the year and a commercial insurance business. Discovery on Tuesday reported a 16% increase in adjusted earnings to R5.4bn. "I’ve seen what a successful business can do for job creation, to investment," he said. "We’ve created directly probably 5 000 jobs in the last five years and probably indirectly from that multiples of jobs." Gore, 54, started Discovery as a private health insurer in 1992, mid-way between former President Nelson Mandela’s release from jail and the first all-race elections that ended South Africa’s policy of racial segregation. It has since grown into investments, credit cards, life and property cover, and is the largest distributor of Apple watches in South Africa through a incentive program that offers members discounts for keeping healthy. The programme now spans the US, China, Europe, Singapore, Japan and Australia. "Opportunities are under-priced in bad times, that’s for sure, and that’s why we are building," Gore said. "I remain optimistic that the long term is sound and that’s why we’re investing." Ramaphosa is also having to contend with an official unemployment rate of 27.2%, near a 15-year high, and a currency that has weakened 20% against the dollar this year. While the president has made progress in a campaign to attract R1trn in new investment to bolster growth, his plans have been undermined by a decision by his African National Congress to amend the constitution to make it easier for land to be expropriated without compensation to help transfer more ownership to black farmers two decades after the end of apartheid. "We need leadership from business and government and civil society to give people hope that these things need to be dealt with properly and we can get through them," Gore said. "What we do need is leadership with vision, a bit of patience. Give our president time."